for things you would never imagine! Eucalyptus oil uses are most often seen as an essential oil in relaxing massage, a bug repellent, a disinfectant, an air freshener, and as one of the best essential oils to add to lotions for relief of muscle and joint pains. Pure eucalyptus oil is steam distilled from the oil in leaves of the eucalyptus tree. Because there are different kinds of species of these trees, not all produce the oil. Also, different species of eucalyptus tree produce different medicinal attributes in the oil. This oil is flammable and is a natural disinfectant and insect repellent. It is contained in many rubs, inhalers, liniments, rash creams, and mouthwashes. Putting a few drops in laundry freshens clothes, linens, etc. It's main ingredient is cineole, also known as eucalyptol, which gives eucalyptus oil it's amazing aroma. The percentage of cineole may be what makes some brands of eucalyptus oil higher in price than other brands. Oils with higher grades of cineole are proud of that fact, and often state this on the label. Like most of the best essential oils, eucalyptus oil should be stored in a dark glass bottle, in a cool room, with very little direct sunlight. If stored properly, the oil can keep 1-2 years. 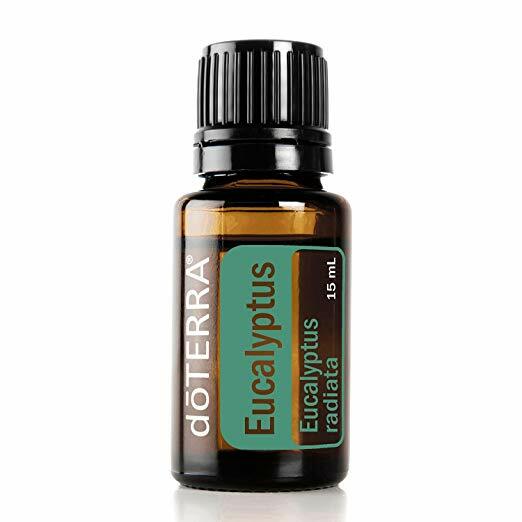 Respiratory Aid - Eucalyptus is one of the best essential oils for treating colds, sore throat, asthma, coughing, sinus congestion, and headache. It is antibacterial, antifungal, antimicrobial, antiviral, anti inflammatory and a natural decongestant. Wounds - eucalyptus oil is a good antiseptic with its amazing germicidal properties. It is used for wounds, ulcers, scratches, burns, and sores. Also great on insect bites and stings. Muscle Pain - Massage with eucalyptus oil added to massage oil provides a relief from the muscle pain. Because eucalyptus oil is an analgesic and an anti-inflammatory, it is recommended for patients arthritis, tense muscles, headaches, fibromyalgia and even nervous disorders. Mental Clarity - Due to it's refreshing scent, eucalyptus is often recommended for exhaustion, stress, and depression. Eucalyptus Young Living Essential Oils 15 ml is very popular with massage therapists! You can read more about the history and health benefits of Eucalyptus at MedicalNews. With so many eucalyptus oil uses, it is easy to understand why it is used in massage therapy, and for all the other healing therapies that depend on it's benefits.